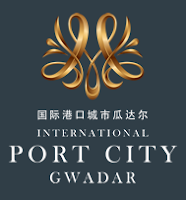 CEO, ONE Investments Zeeshaan Shah visited Gwadar this week to meet with officials of the Gwadar Development Authority, Gwadar Port Authority and to check progress on the ground. “From a social development perspective the 1st of January 2018 marked the opening of Gwadar’s desalination plant. The plant will pump up to 254,000 gallons of clean drinking water to the local Gwadarites and finally put an end to the water crisis they have faced in recent history. The plant was completed in record time by the China Overseas Port Holding Company and speaking with locals of the area they expressed happiness of being included in the rapid development Gwadar is seeing”.